Water can be discolored and tainted by dust, rust, sediment, algae, decaying organic matter and chemicals. Water is swiftly cleared of these impurities once passed through a correctly selected Filterpure cartridge, producing sparkling, pleasant tasting and safer drinking water. Filterpure carbon and purification filters remove a number of impurities, chemicals, odour and taste from drinking water. 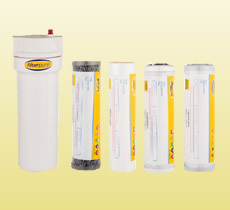 High quality purification cartridges constructed of food grade materials intended for use in drinking water. Suitable for use in cold or hot water service. 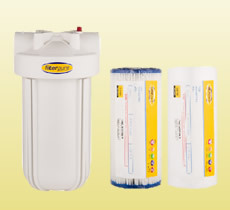 Carbon filters in second stage filtration are an excellent choice to remove unwanted tastes and odours such as chlorine and sulphur.